Coffee revolution, burgers revolution, and now, Food Truck revolution! Two Food Trucks has emerged in the most "haps" area of SS15 earlier last month, and so Guan Ren & I decided to check it out! 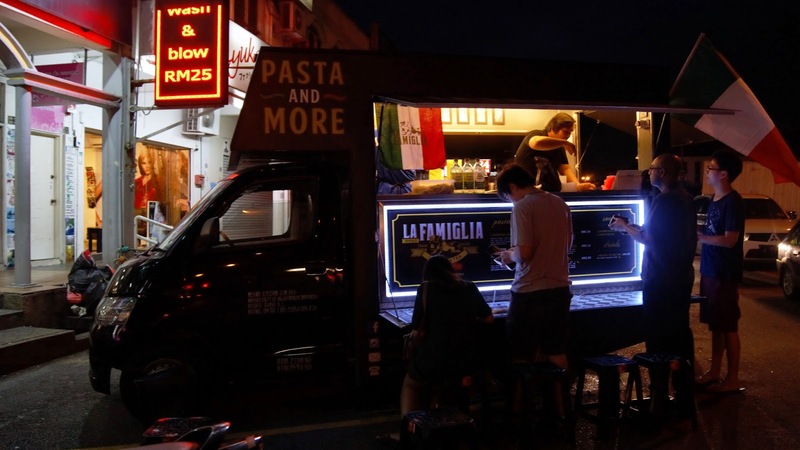 Our first stop was La Famiglia, a black truck decorated with Italy flag and attractive lightings parked just right opposite of SS15 Pasar (One row behind RT Pastry/ Public Bank, near the famous Burger Bakar stall). The truck is converted into a mini kitchen, and a few stools are placed at the roadside for customers convenient, whether to dine in or while waiting for their take out order. There's even a make shift pull-out table for one to dine in, although the space was rather limited. 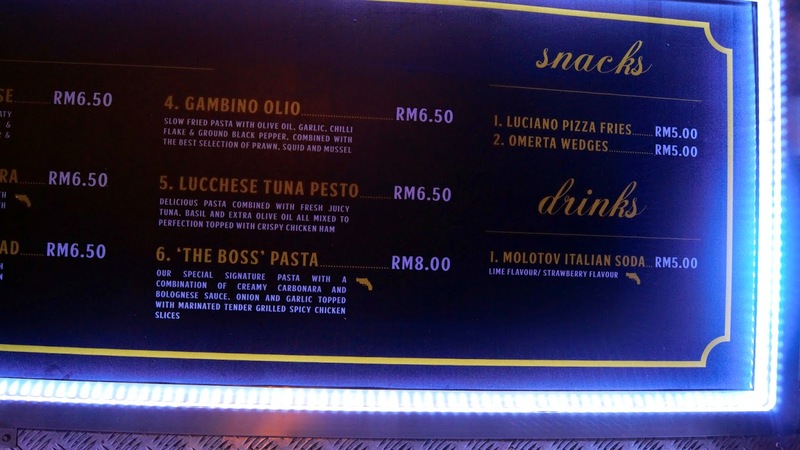 All food are priced between RM5-RM8! Happy us happily placed our orders to the friendly kitchen staffs, and watched them cooked the pasta right before our eyes in their little mobile kitchen. I loved this. I really loved it. 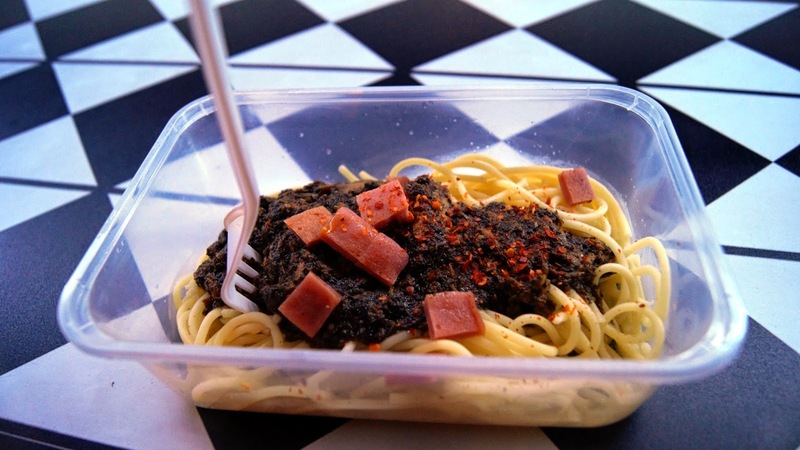 The aromatic & rich pesto sauce, with bits and chunks of tuna and ham tossed together with the spaghetti was just perfect! And the price tag attached just made it, better than perfect! Portion was small but I wouldn't complain, with the price tag attached. 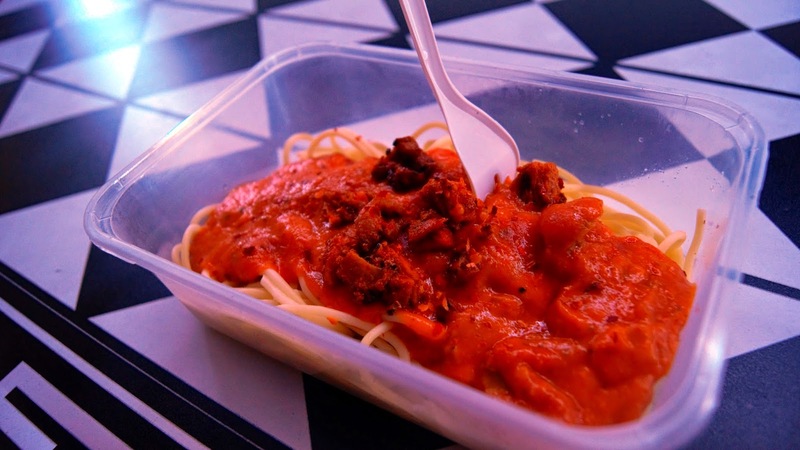 La Famiglia signature pasta sauce, featuring a mix of Carbonara and Bolognese Sauce, garlic and onions and grilled marinated chicken, tossed together with Spaghetti. Sweet, tangy and creamy, I enjoyed the sauce but Guan Ren find it rather odd, and perhaps because the garlic taste was a little too strong. Our stomach was still not satisfied after our meal at La Famiglia (the portion was a little too small). We were pondering whether to have SS15 famous burger for supper when we saw another food truck driving past....and so we decided to give it a chase until it stopped in front of Public Bank. 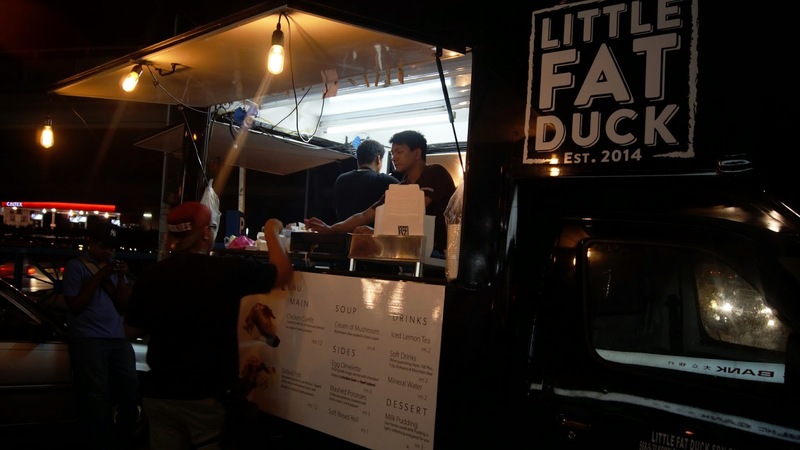 Little Fat Duck, a food truck with a rather cute and catchy name, that doesn't serve ducks at all. We were there around 8pm and the owner (I assume) told us they'll only be ready to serve us after setting up his store. They were kind enough to set up the tables and chairs for us to sit while waiting for them :) The crowd was already building up before even Little Fat Duck started its operation! 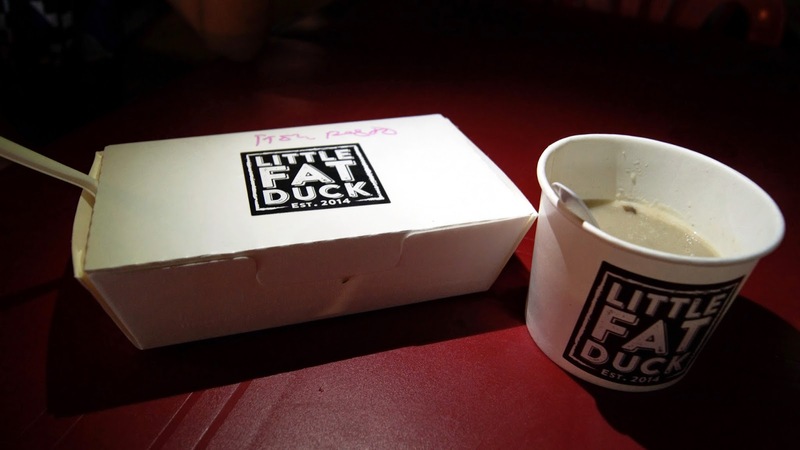 The pricing of Little Fat Duck was even affordable compared to La Famiglia! 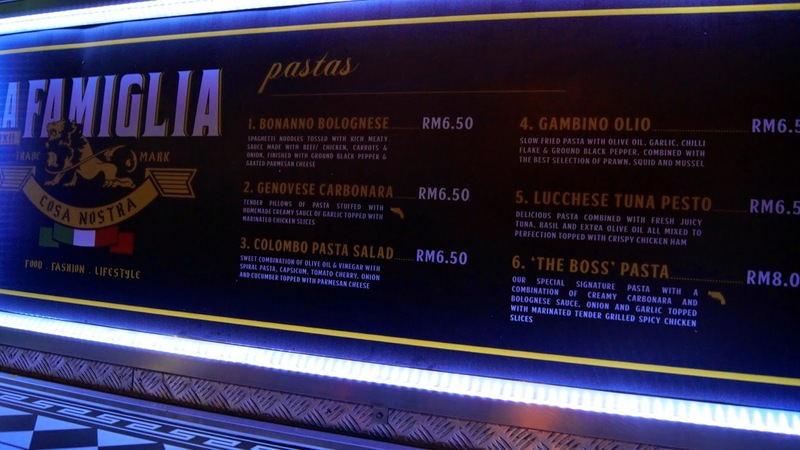 Each pasta was only priced at RM5! You can check out their full menu on their website here. 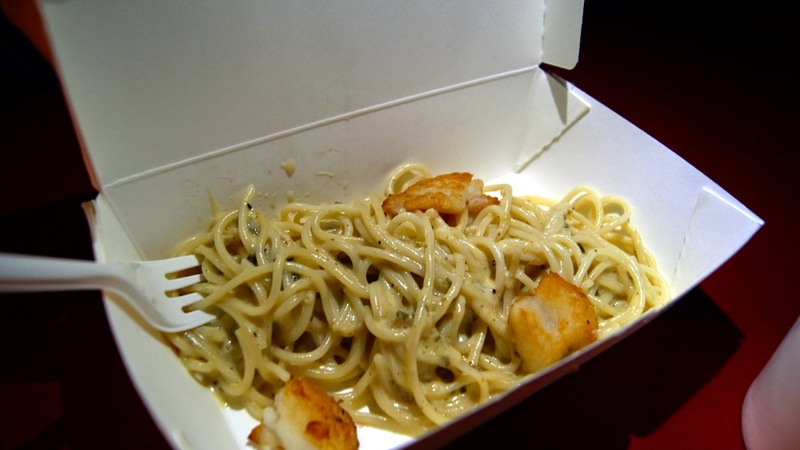 Pasta served with pesto cream sauce and three pieces of fried fish fillet. I thought that the sauce was a little too creamy for my liking- could hardly taste the pesto in it and it was a little bland, feels a little more like carbonara, actually. 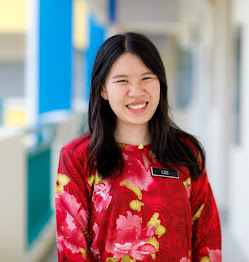 But then again it's only RM5 so I'm not complaining. 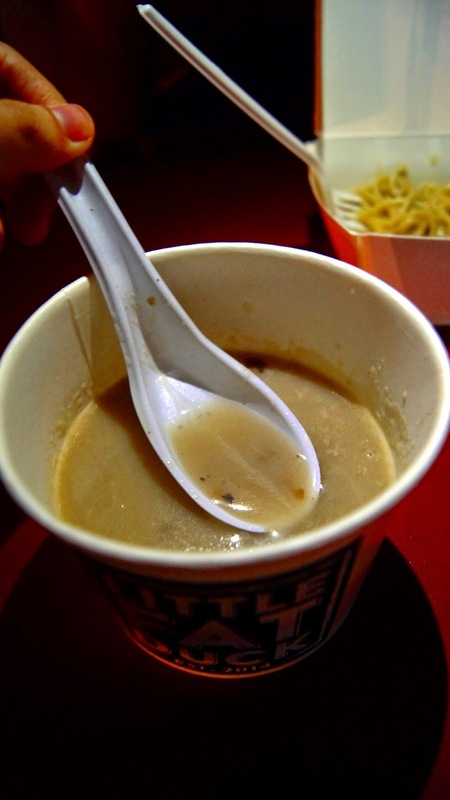 The soup was packed with mushroom taste, however, I thought that it was tad too salty. Located one row behind RT Pastry/ Public Bank, near the famous SS15 burger store.